In January of 2005, I had a meeting with Bill Orton. My campaign for U.S. Senate was in the exploratory stage, and I had heard through the grapevine that Bill was considering running. I had never met Bill before, but he worked nearby and came in to talk with me without even knowing what the subject was. We talked for over two hours that afternoon. He detailed how he had tried to negotiate with President Clinton and Bruce Babbitt before Grant Staircase Escalante was declared a National Park. They overrode his concerns and left him out of the process. He exclaimed to me the concern of his constituents, “If you’re a Democrat and your own President doesn’t listen to you, then what good are you?” He said, “And you know, they were right!” Bill Orton was the last Democrat to represent Utah’s third district. If President Clinton had listened to the Democratic congressman from the region in question, and made Utahns stakeholders in the process of creating a National Park, Bill Orton would have continued to be elected every time he ran. I asked Bill why he considered himself a conservative Democrat instead of running as a Republican. “Because I couldn’t live with myself!” “I couldn’t get out of the shower each morning because I wouldn’t be able to get clean!” he laughed. Bill told me that he was considering running for U.S. Senate, but the pains due to his back injury were preventing him from doing so. He told me that unless a miracle cure happened, he couldn’t do it. I waited until March before I realized that miracle wasn’t coming. 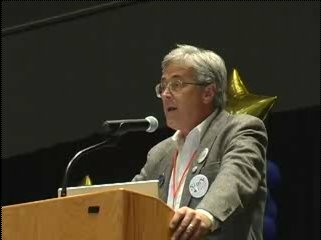 When it came time for the 2006 Democratic State Convention, it was necessary to select a party member to put forward my nomination. Bill Orton was my first choice and I was deeply humbled when he accepted. In spite of losing his written speech, he gave a fantastic, firey, and fluent oration that had the crowd cheering. He was a hard act to follow. I ran into Bill a few times after the election. Last year, at the Salt Lake Valley Science and Engineering Fair he was especially proud of the work his son Will had done for his entry. It demonstrated the gravitational attraction between bowling balls and was far beyond what standard science fair entries cover. Bill beamed when he told me that a University physics professor had said that the entry was beyond the level of what his graduate students were capable of. It was apparent to me that Bill was a committed and loving father, even if it meant clearing out the garage for a month for a science fair experiment. Bill Orton died this weekend in an accident at the age of 60. He was the very model of a Utah Democrat — honest, forthright, connected, and capable. He was my mentor and my friend. I will miss him.